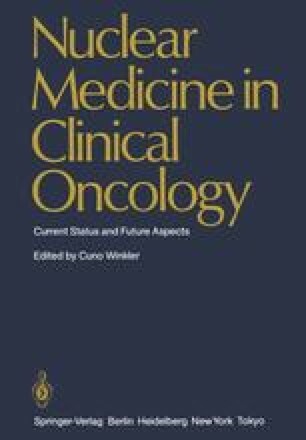 The ectopic production of several peptide hormones in patients with lung cancer has been described by several authors in recent years. Hormones which are frequently elevated in sera of patients with small cell lung cancer (SCLC) at diagnosis are summarized in Table 1. Only results based on sufficiently large numbers of patients are included. The incidence of elevated levels of a given peptide hormone varies depending on the assay system, the antibodies used, and the upper limits employed in the different studies. For many of the hormones listed in Table 1, increased levels can be detected at diagnosis in up to 70% of patients, and in many cases several hormones are elevated in parallel. Often, however, blood levels are only marginally increased, and evidence of excessive production may be present in only up to 25% .